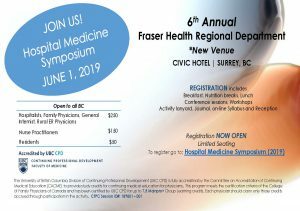 This interactive event will provide clinically relevant updates to hospitalists, family physicians, rural ER physicians, residents and nurse practitioners providing in-patient care in British Columbia. Optimize the use of investigations and resources. Improve diagnosis of common in-patient clinical presentations. Registration & Breakfast 7 a.m. 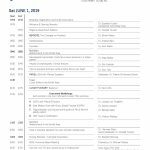 The University of British Columbia Division of Continuing Professional Development (UBC CPD) is fully accredited by the Committee on Accreditation of Continuing Medical Education (CACME) to provide study credits for continuing medical education for physicians. This program meets the certification criteria of the College of Family Physicians of Canada and has been certified by UBC CPD for up to 7.5 Mainpro+ Group Learning credits. Each physician should claim only those credits accrued through participation in the activity. Please select one of the four options.